If you have your own site & MEWP please let us know and we can give you a further price. Certificate of Competence for use of a MEWP (IPAF/NPTC/LANTRA). It is important that you hold a current licence to practice in the MEWP type that will be using during the course. The course does not include work with work platforms that are not controllable from the platform bucket. To take this training, you must be physically fit and not suffering from vertigo or similar conditions or on medication that could affect your safety. 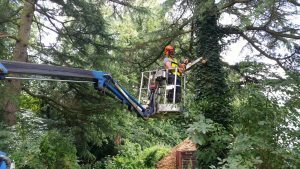 This training course will give you all the knowledge and skill you need to operate a chainsaw from a Mobile Elevated Work Platform (MEWP). This includes the set up and operation of a MEWP as using equipment from a MEWP can be very dangerous which is why it is important to make sure you have the proper training and skills needed to work safely and efficiently. If you would like to take this course, please make sure that you hold a current licence to practice in the MEWP type that will be used during the course (e.g. self-propelled) as well as a working knowledge of chainsaw maintenance and cross-cut techniques. You should also be particularly aware of the potential hazards of being cut by the saw, hit by the timber and exposure to noise and vibration. 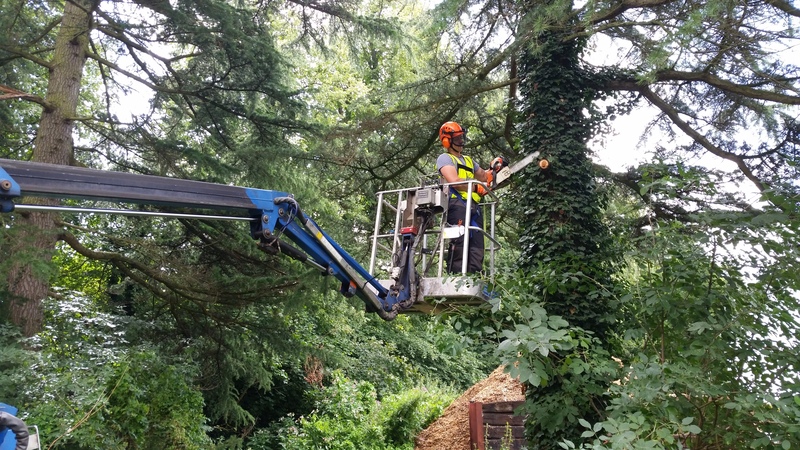 This course culminates in an independent assessment for a City & Guilds Level 3 Award in Safe Use of a Chainsaw from a Mobile Elevated Work Platform.